This week is the first without an ‘ism’ as a subject, though we could call this week “Nietzscheanism: Nietzsche and Bataille” if it didn’t sound redundant. Nietzsche, while similar to Schopenhauer and Kierkegaard, was a very individualistic thinker, pushing beyond the subjectivism of Kierkegaard. Like Kierkegaard, Nietzsche denounced the hypocrisy of everyone, but abandoned his religion, nation, and race. He knew this about himself, and wrote that he feared acquiring followers, disciples who valued his ideas and individual thinking more than their own. However, followers he did acquire, particularly among later French philosophers we will study such as Bataille, Sartre, Foucault, Deleuze, Derrida, and Baudrillard, all of whom were influenced by the German philosophers Hegel, Nietzsche and Heidegger. These thinkers extended the ideas of Nietzsche and Heidegger in new directions. 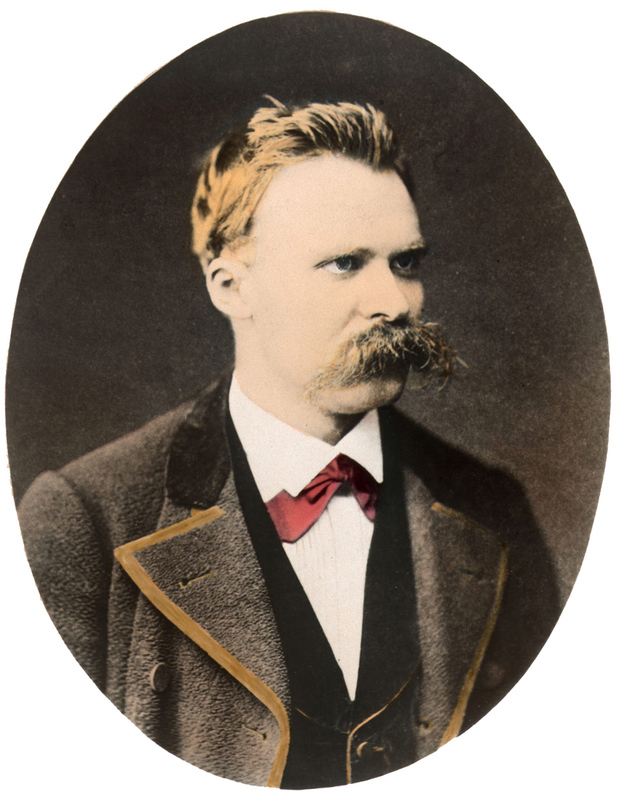 Friedrich Wilhelm Nietzsche (1844 – 1900 CE), the great mustachioed one, came from a long line of protestant Lutheran preachers, five generations deep on his father’s side. Unfortunately, Nietzsche’s father died when he was five years old, suffering both physically and mentally from debilitating insanity. Nietzsche as a boy wondered why both his father, a passionate preacher loved by the community, and older brother suffered and died for no apparent reason in spite of being Christian. Though his family sent the boy to school to become a preacher and theologian, like Hegel, Heidegger and many other German thinkers Nietzsche rebelled and turned to philosophy after a brief period of turning to mathematics. Nietzsche also studied philology, a now forgotten subject similar to social and anthropological linguistics. As a youth, Nietzsche held many French authors in high esteem, such as the French aphorists La Rochefoucauld and Chamfort, and in Nietzsche’s writings he frequently praised French culture and derided German culture as base. In one passage, he lamented that Germans, fond of cheese and beer, clearly do not know what a healthy constitution consists in. This may have helped him get a following amongst later French Nietzscheans. 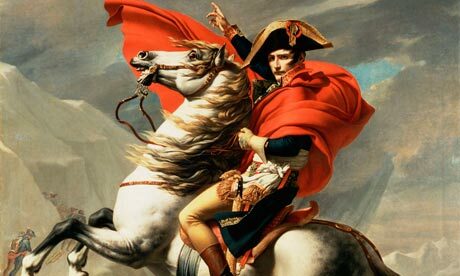 Like Hegel, Nietzsche revered Napoleon, seeing him as a great leader of the new European age. As a youth, Nietzsche admired the leaders of the world’s religions such as Zarathustra, Jesus, Confucius, and Mohammed, as well as the philosopher Spinoza, who also had a larger unitive vision of reality. From 1869 Nietzsche was a professor of philology at the University of Basel, Switzerland’s third largest city bordering both France and Germany. He was close with many of his colleagues, and frequently visited the composer Wagner and his wife Cosima in nearby Lucerne. At first Nietzsche revered Wagner, writing that he was one of the great geniuses of the age, and the two bonded over a love of Schopenhauer. Wagner read Nietzsche’s Birth of Tragedy, and wrote to Nietzsche that he was, along with his wife, the closest person by far to Wagner himself. 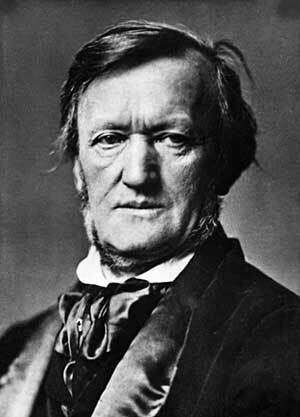 Then Wagner became increasingly Christian, German-nationalist, and antisemitic, and his music became full of flash and pomp. Nietzsche, quite opposed to traditional religion, nationalism, and antisemitism, wrote to Wagner imploring him to see the light. Wagner replied with silence, and the friendship ended, to Nietzsche’s great sorrow. While Wagner adored Nietzsche’s first book, The Birth of Tragedy (1872), it was shunned by academics and ignored by the public. Nietzsche argued that the ancient Greeks were not simply rationalists as was often said in Nietzsche’s time and still is today. 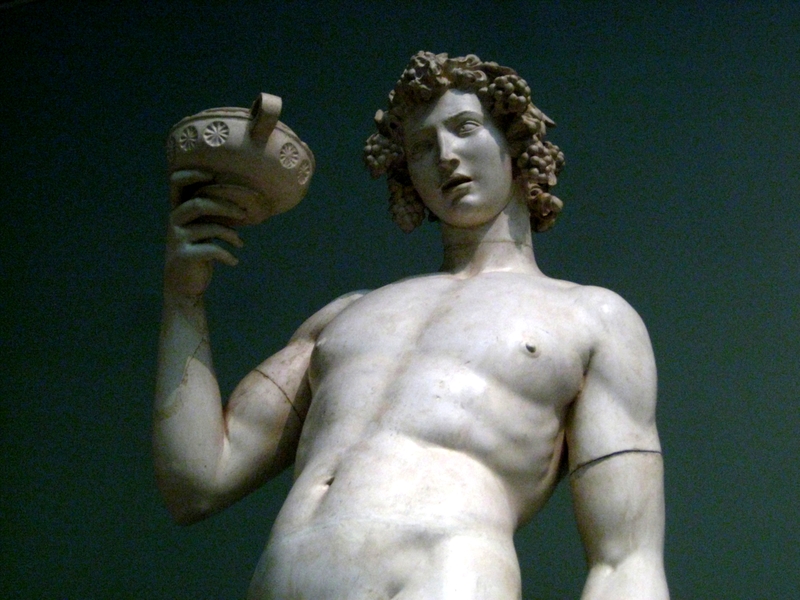 He argued that there were two opposite strains in Greek society, the Apollonian (order, reason and law) and the Dionysian (chaos, emotion and revolt). 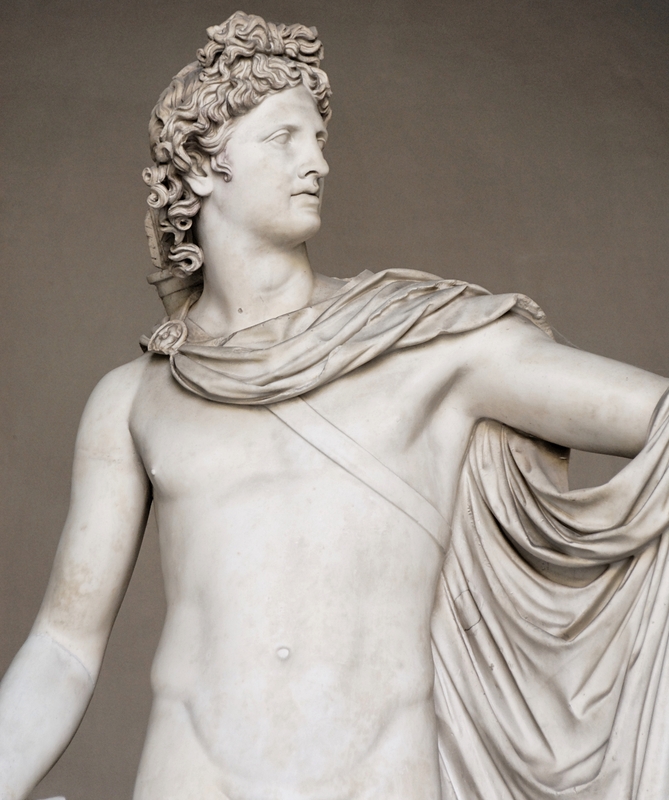 Apollo was the ancient Greek god of knowledge, and Dionysus was the god of ecstasy, intoxication and transformation. These opposite gods are similar to Kant and Hegel’s conception of understanding, which orders, and reason, which is free, however the freedom of Dionysus is less the use of logic and more the use of other things. 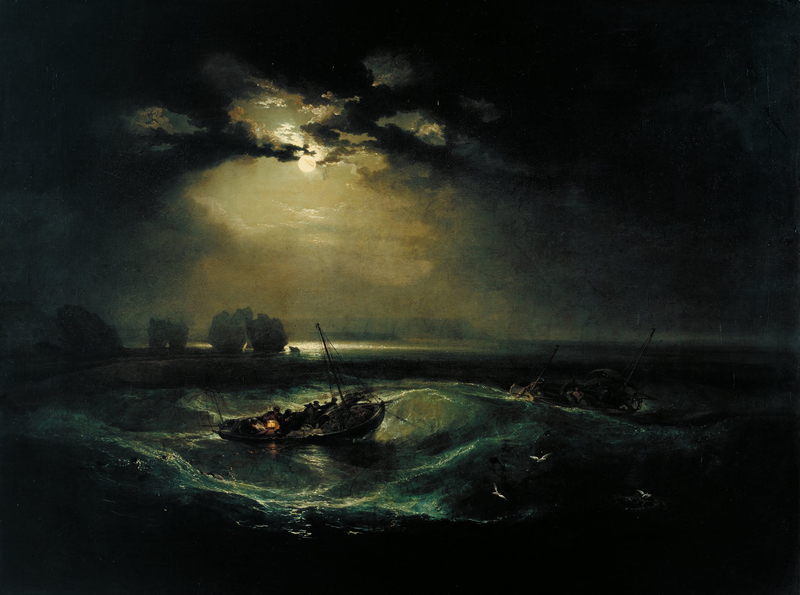 Nietzsche suggests that this is quite human, and societies that flourish do not simply become rational and reasonable but struggle to both restrain and escape restraint, to categorically understand and transcend categorical understanding, engaging in both science and art. This is very similar to Hegel’s historical dialectic of dogmatism and skepticism we studied last time. However, following Schopenhauer’s criticism of Hegel, Nietzsche identifies the opposite of understanding not as reason, confined by logic, but will, not as mathematical science but as creative expression. 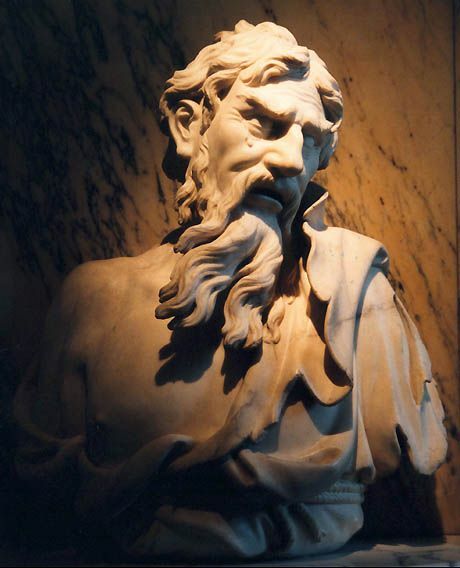 Amongst the ancient Greek philosophers, Nietzsche particularly admired Heraclitus, who he said was closer to his own thought than any other thinker. In Nietzsche’s philosophical autobiography, Ecce Homo (“Behold the Man” in Latin, the words of Pontius Pilate as he reveals Jesus to the crowd who condemns him), Nietzsche writes, “In (Heraclitus’) proximity I feel altogether warmer and better than anywhere else… The affirmation of passing away and destroying, which is the decisive feature of a Dionysian philosophy; saying Yes to opposition and war; becoming, along with a radical repudiation of the very concept of being – all this is clearly more closely related to me than anything else thought of date”. Nietzsche also identified Heraclitus’ thought with that of Schopenhauer, and quoted Schopenhauer in explaining the philosophy of Heraclitus. 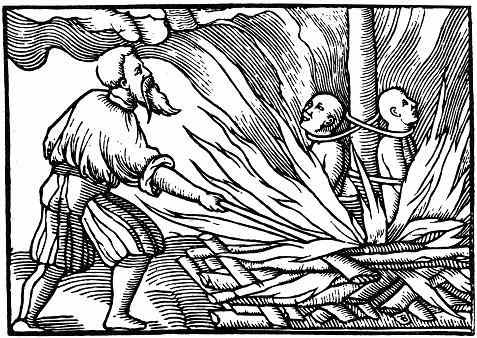 While many have compared Nietzsche’s philosophy to Pyrrhonian skepticism, Nietzsche only rarely mentions ancient skeptics, by which he means Greek Pyrrhonians. Like Nietzsche, the Pyrrhonians believed that truth is perspective and appearance, and that this view was not nihilistic but rather life affirming. Nietzsche was likely acquainted with Pyrrhonism through secondary sources. 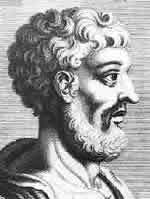 There is no evidence he had read the works of Sextus Empiricus, the major ancient textual source for Pyrrhonian skepticism. He did purchase, read and praise a book on Pyrrhonism in 1888, but as this was at the very end of his writing career it could have had no effect on the majority of his own work. 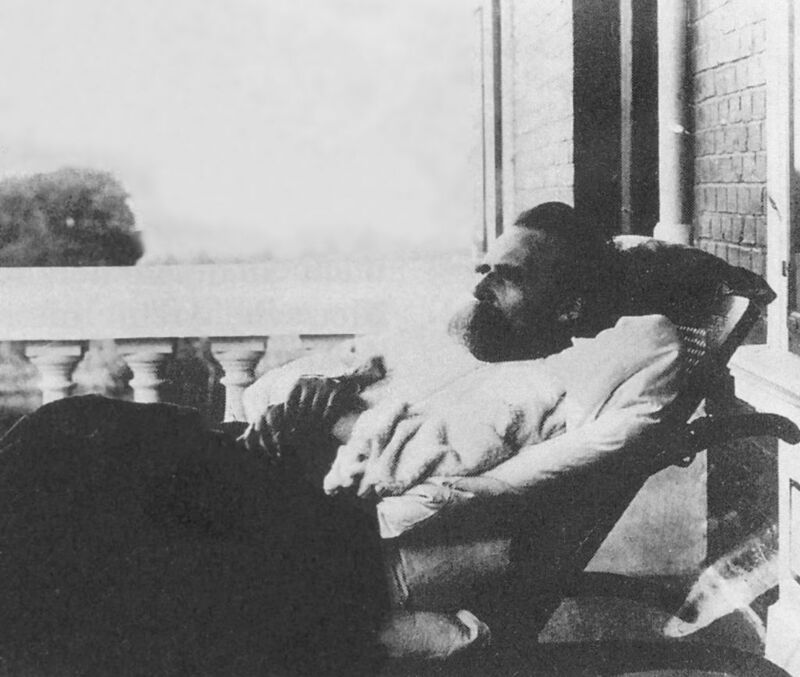 Nietzsche became sick with stomach problems and other health matters, which would plague him for the rest of his life, and in 1879 he resigned his professorship. Nietzsche wrote that sickness was “the teacher of great suspicion”, and was well aware that, as a philosopher who argued that all philosophy is personal interpretation, he wrote in praise of strength and independence as a sickly individual. 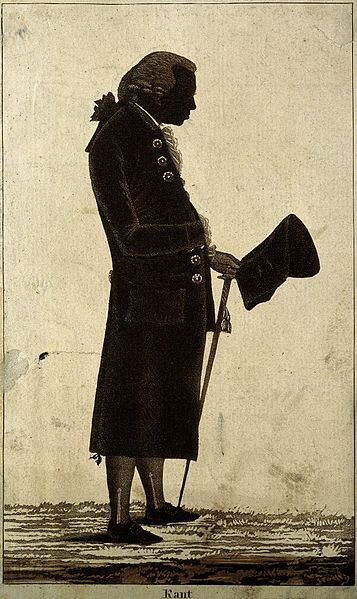 For the next ten years, until 1889, he traveled largely in France and Italy, seeking a warm climate in winters for his ailments, and wrote several books which are celebrated today but in their time almost entirely unnoticed. 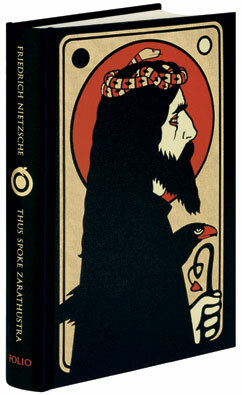 Nietzsche’s great works of this period include his Human All too Human, The Dawn, The Playful Science (often translated “The Gay Science”, but as the famed translator Kaufmann noted the word ‘gay’ has a different meaning since the sixties, and it should be understood as merry, irreverent, and joyful), Thus Spoke Zarathustra, Beyond Good and Evil, The Genealogy of Morals, and The Twilight of the Idols (subtitled: How to Philosophize with a Hammer). 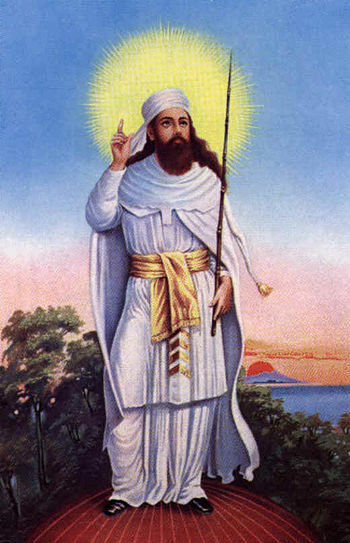 With Thus Spoke Zarathustra, he believed he had finally found his true voice and final philosophy, and the books that follow are considered his definitive work. 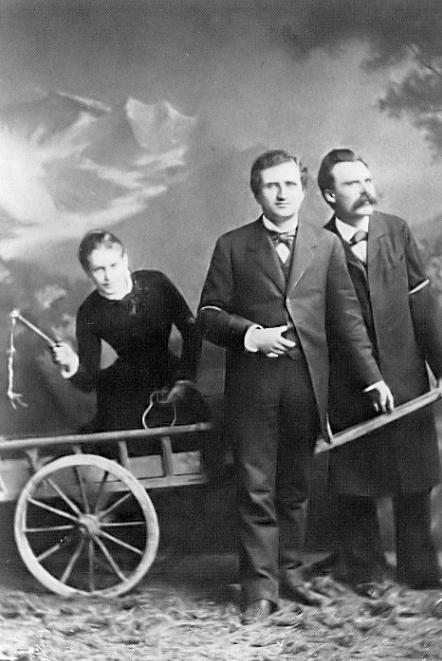 It was also during this period that Nietzsche befriended Paul Ree, who introduced him to Lou Salome, and the three traveled together while Nietzsche shared and developed his ideas with them until their friendship broke apart in 1883, the year he finished Thus Spoke Zarathustra and entered his final definitive period. 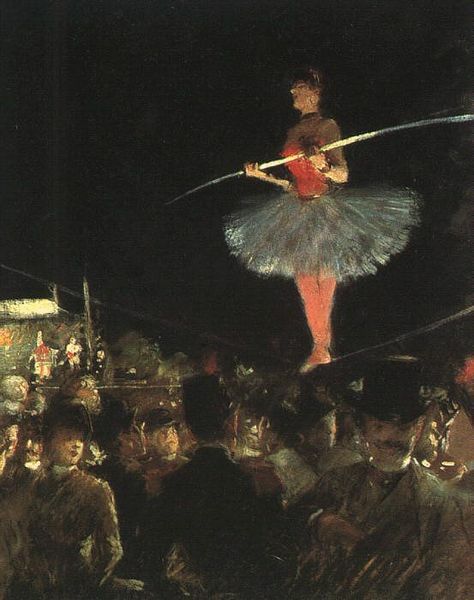 There is a famous photo of the three friends with Nietzsche and Ree yoked to a cart, and Salome in the cart holding a whip, likely taken at a carnival. Nietzsche had problems with women, confessing some of these problematic opinions in his early Untimely Meditations. Just after warning against Kantian notions of objective truth, Nietzsche offers to share some of “my truths”, and suddenly begins a long rant about women. Some, such as Derrida, consider Nietzsche’s display of his prejudice to be inspirational, as he seems to wear his problems on his sleeve rather than ignore them or declare them to be the objective truth. 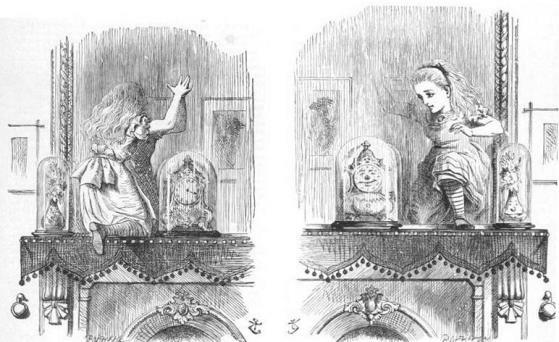 Much as Judith Butler, who was influenced by both Nietzsche and Derrida, argues that gender is a performance, Derrida argued that Nietzsche shows us philosophy is a performance of subjective truth. In his Untimely Meditations, Nietzsche wrote that when dealing with women, do not forget your whip, the most controversial statement he makes and certainly not a position Butler would endorse. 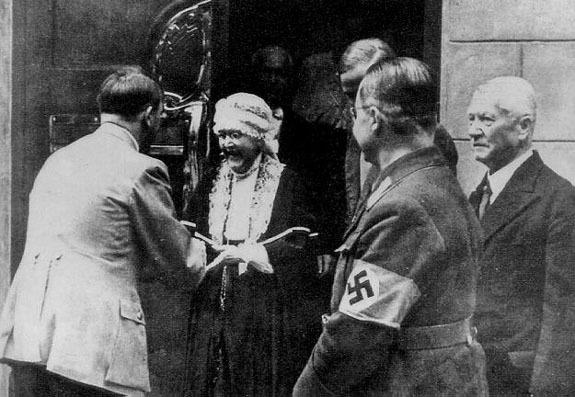 In the famous photograph taken years later, after Nietzsche had befriended Lou Salome, it is she who is holding the whip. 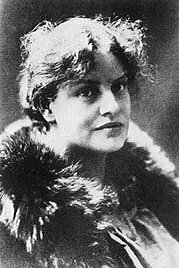 Nietzsche wrote later to Ree in 1882 that Salome was the most intelligent person he had ever met, just as he had admired the intelligence of Wagner’s wife Cosima years before. After splitting with Ree and Salome, Nietzsche often complained that he could find no one who could understand his vision, and he longed to find people as or more intelligent and far seeing as himself. Tragically, in 1889 at the age of forty five, just as he was beginning to gain fame and popularity, his books being read and professors giving lectures about him, he had a period of great bliss and happiness, followed by a lapse into increasingly catatonic insanity. According to the story, Nietzsche saw a fallen horse being beaten in the street, and he threw his arms around its neck, weeping uncontrollably. After this, he said and wrote very little. While some opposed to Nietzsche’s skeptical thinking have argued that insanity was the result of his philosophy, others who embrace Nietzsche’s thought, including Karl Jaspers, one of Nietzsche’s first major interpreters and also a psychiatrist, have argued that Nietzsche’s eventual insanity was the result of a genetic condition he inherited from his father. Nietzsche saw himself as a great awakening, as one who saw that truth is interpretation and perspective. Hegel argued that reality is both objective and subjective, a social construct, but Hegel tried to systematize subjectivity to reveal the structure of objectivity. Nietzsche saw himself as destroying the myth of the objective system, and much like Kierkegaard he hoped that those who understood him would transform reality and themselves as they saw fit, having the courage to make leaps of faith once they saw that it can be done. An emotional and entertaining author, Nietzsche makes bold judgements, often involving great praise or condemnation, but he was not making pronouncements about final answers, but demonstrating the ability to continue to question. This is why, as Nietzsche himself wrote, he had earned the right to be wrong as well as contradict himself in countless ways. Rather than defend truth as a final form, he had hoped to inspire a great will to truth and the creation of meaning in others, a courage to plum the depths and kick the tires. 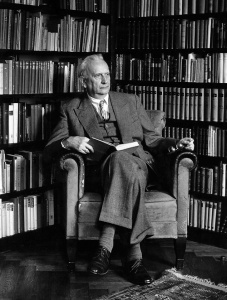 Karl Jaspers argued that self-contradiction was the fundamental ingredient in Nietzsche’s thought, and that Nietzsche seems to have two opinions about everything, which is the reason that socialists and individualists, scientists and artists, theists and atheists, and all other varieties of opinionated people find passages of Nietzsche that they lovingly quote to support their own views or bitterly condemn as supporting the opposition. 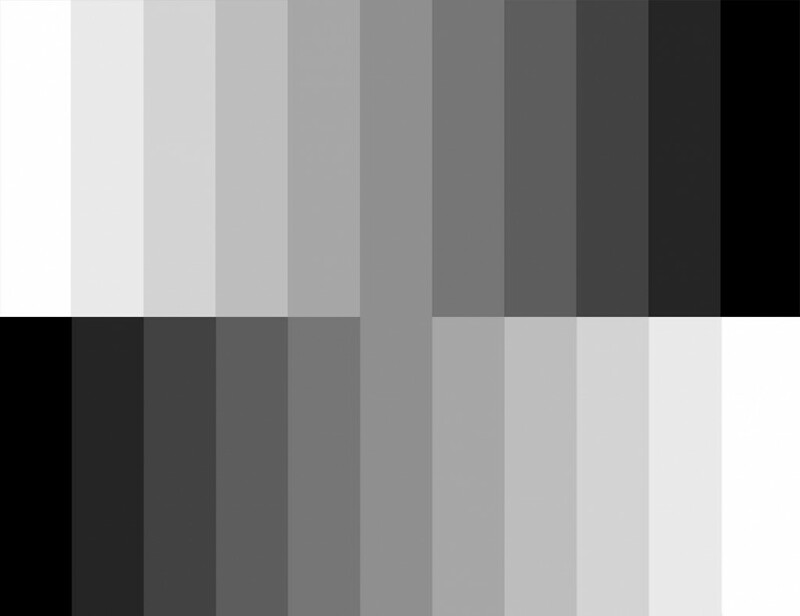 Our capacity for understanding oversimplifies existence, and because noncontradictory understanding must remain on the surface great thinking often requires self-contradiction. Nietzsche’s thought is not a system, but a passion, a journey to new truth unlike any before. 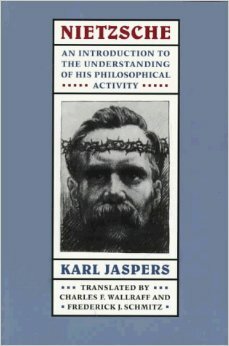 Jaspers said that to understand Nietzsche, you must also be in motion, must be passionate, and must be willing to discover new things about yourself. Truth is something progressively revealed, but also fundamentally ambiguous, able to be interpreted and reinterpreted in countless ways. These seem mutually exclusive, but only to that in us which demands final, closed answers. Nietzsche did not want his texts to be read like newspapers, available to all regardless of ability. There is no one way, so find your own way, Nietzsche implores the reader. Nietzsche encouraged his readers to distrust him as he distrusts himself. Truth, in the individual or society, should not need to be defended, but rather put into conflict, forcing it to rise to the occasion or perish. Nietzsche wrote that if he was to pronounce a law that should not be broken, it would only be for the purposes of testing the individual who would be courageous enough to strengthen themselves by breaking it. Suffering, error and contradiction are necessary in every great development, which Nietzsche argued the great must embrace and cherish. 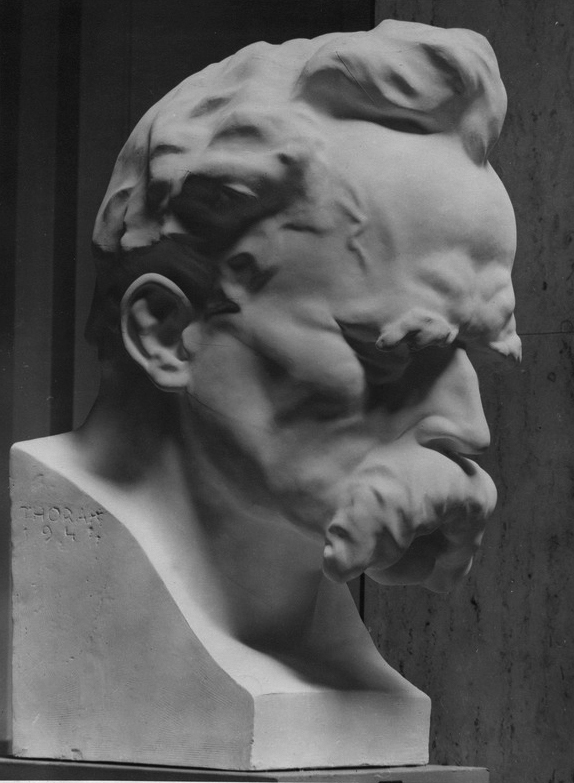 Nietzsche valued creativity (‘Schaffen’, in German), and praised the individual’s ability to out-think the herd. Nietzsche at times said he was creating new values, new ideals, and at others that he was smashing all idols without replacing them with others. Both these are true. Nietzsche found values for himself, and for others who enjoyed them, but he wanted everyone to be free to find their own, and so permanent social idols were to be smashed and not replaced, but some ideal must be asserted by the individual to avoid the collapse into nihilism. 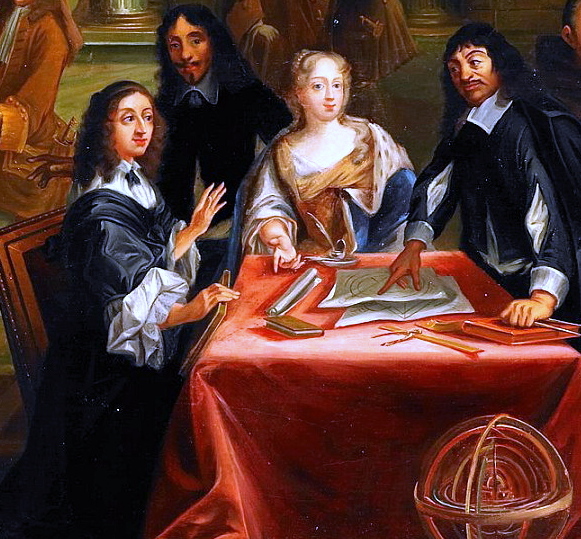 Like for Descartes, skeptical questioning leads to positive results, but unlike for Descartes, Leibniz, Kant and later positivists, Nietzsche’s positive result is individual and unavoidably involved contradictions. Nietzsche loved and hated humanity, celebrating human thought’s ability to rise above itself, to evolve unlike anything else in existence, while bitterly attacking it’s perpetual hypocrisy and cowardice. 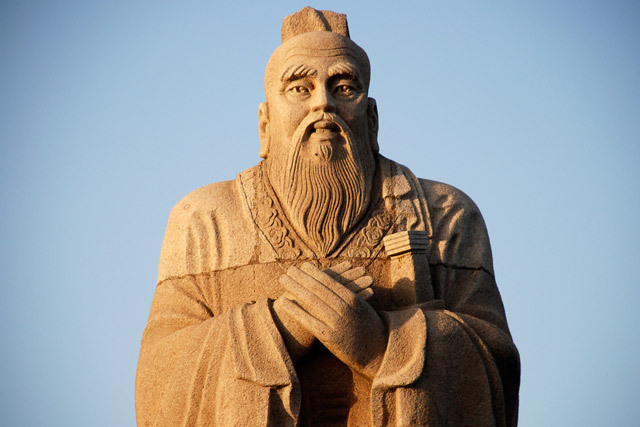 This is similar to Confucius, with whom Nietzsche compared himself at a young age. Like Confucius, Nietzsche said that he could not find a perfect man anywhere, but humanity, as it already was, was capable of endless possibility, of producing boundless truth, unbounded even by self-consistency or noncontradiction. Human thought can overcome any obstacle it sets in its own path, and cannot grow without obstacles to conquer. Human individuals, through thought, can observe themselves just as thought can observe itself, and through this gain freedom or impose limitations, as it fits in its time and place. We advance by way of errors and illusions. False beliefs evolved over long periods, committing countless mistakes, to arrive in modern times. Humanity considers itself the center of creation, the meaning of the cosmos, the most free being in spite of imposing the most restriction, capable of working miracles in defiance of physics, and then convinced that it holds the key to physics itself. The idea of complete understandings, what Nietzsche regarded as a fundamental error, still drives much of human thought today, as it has for thousands of years. 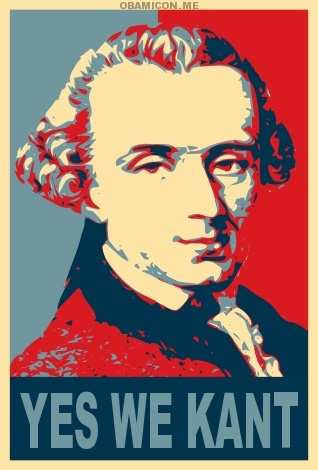 Nietzsche distrusted Locke’s primary objective qualities and Rousseau’s general will of the masses. Nietzsche was worried that in modern times humanity would celebrate its rise while it was falling, praising security while losing ingenuity, gaining incredible knowledge while losing inspiration and meaning. 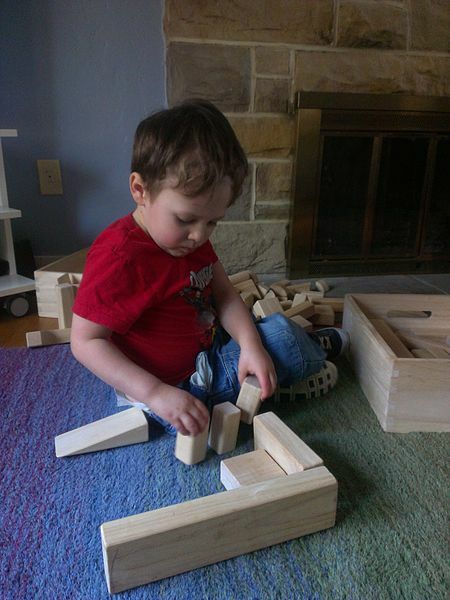 In order to view ourselves, we must construct a concept. Not only are systems of thought social constructs, as we learned with Hegel, but the self is a self-construct as well as a social construct. 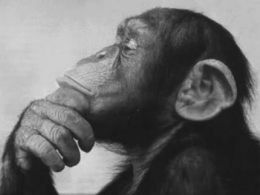 We must interpret ourselves just as we must interpret the world. We evaluate ourselves, and others in terms of ourselves, continuously, loving and hating ourselves, repeatedly confiding in ourselves and distrusting ourselves, embracing ourselves and rejecting ourselves. Nietzsche wrote that any individual who hates themselves is ready and willing to take revenge on others, similar to Freud’s conception of projection. Nietzsche also wrote, “He who despises himself still respects himself as a despiser”. We are constantly deceiving ourselves about ourselves, as we are about others and the world. We must view everything, including the thing which most matters to us, our self, through “the fictions of language and logic”, as Nietzsche says. We forget and conceal in creating meaning. While there are no complete and exclusive distinctions between any two things in life, we inscribe things as self-identical and distinct from all things in order to make sense of our world. 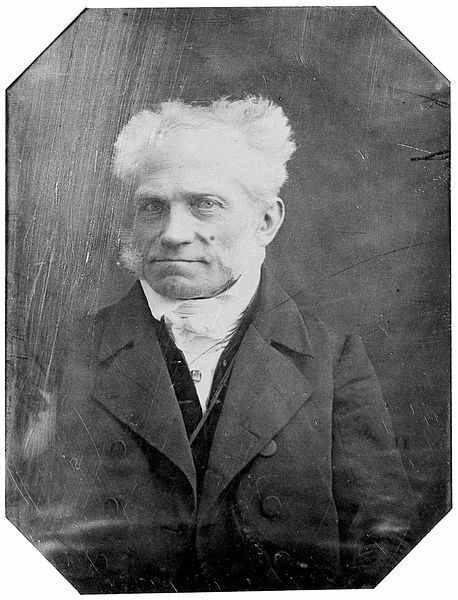 Recall that Schopenhauer saw self-conception and individuation as a basic problem, the knot of existence, the thing that turns the primal will against itself. We interpret ourselves in light of how others have interpreted us, which we must interpret for ourselves based on the incompleteness of what they say and what they do. We can overcome others with our opinions, and they can overcome our innermost understandings of ourselves with theirs. We are and are not ourselves, just as Heraclitus wrote. The selves and truths that we construct are both fictions and fact, intertwined. Suppressed drives find means of release. Often they turn inwards, and can become poisonous, life-denying rather than life-affirming. 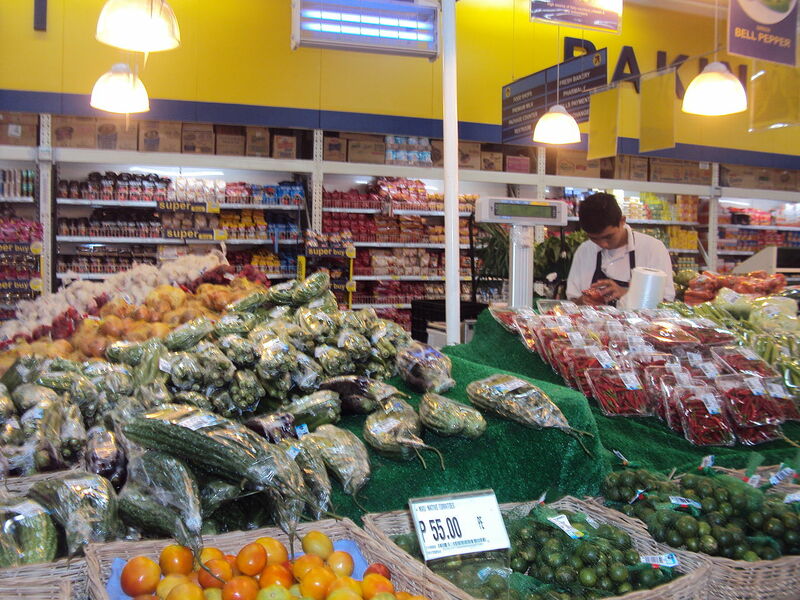 Unlike hunger, most drives can subsist and be satisfied, if temporarily, like hunger, through ideas, judgements, and dreams. Nietzsche hated revenge, and pity, both terrible forms of repression. Nietzsche loved and hated superiority. Individuals can be superior, but when individuals seek superiority in groups, they can discourage individual creativity, thinking beyond the herd mentality. Nietzsche feared the revenge of the herd, which he labeled with the French term, ‘resentiment’, resentment with an ‘i’ in the middle. The herd fear the new, individual and nonconformist, as these call objectivity and authority into question. We can always blame others, rather than ourselves, for our situation, avoiding individual responsibility for making our lives meaningful. Nietzsche saw German nationalism and antisemitism rising in his own day. Great individuals do not need to join groups to gain strength, nor blame other groups for their faults. Recall Spinoza said the same about the bully and the drunk, who fail to understand the causes of their actions and thus feel that they are free. By examining ourselves, and communicating about ourselves to others, we come to greater appreciations of the complexities of ourselves and of humanity as a whole. Nietzsche, compared to other philosophers, was very honest about his faults and limitations. To do anything, thought must limit itself, both a deception and a triumph. Forgetting is a necessity of life. Without it, we would not survive. We only remember what we are driven to do, as well as what opposes this drive, a very Fichtean account of memory. Nietzsche does not develop his picture of the drives or how they combat each other methodically. Some drives are employed occasionally, others continuously, some are driven by excess, and others by lack. 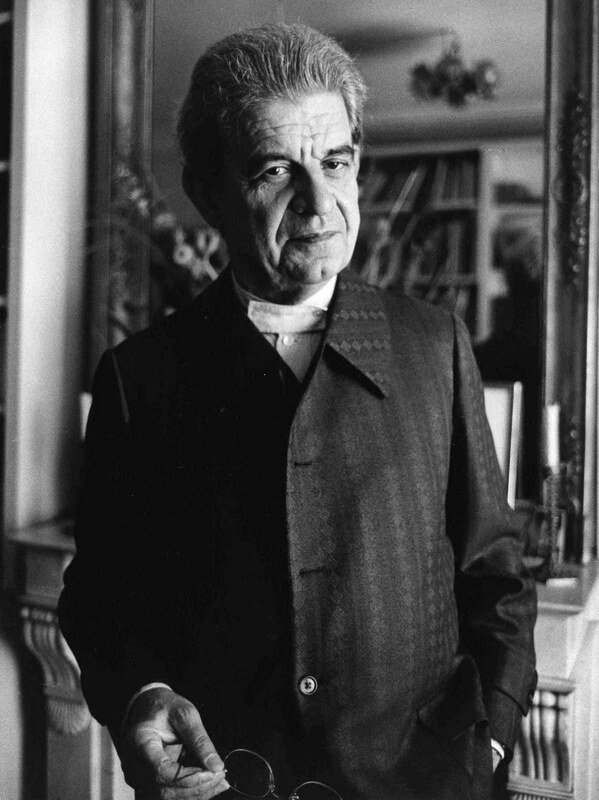 Lacan, who attended Kojeve’s lectures on Hegel with Bataille, tried to systematize Nietzsche through Freud, arguing that we form an image of ourselves to mask the contradictions, and then repress or redirect whatever does not conform to this image, forever fighting reality which defies simple noncontradictory understandings. 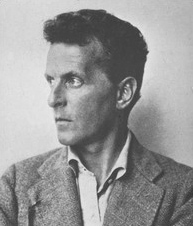 Nietzsche, like Wittgenstein, was critical of anyone who boiled down a situation to a single factor or essence. Nietzsche himself ultimately rejected Schopenhauer’s conception of the will as primary, accepting that cowardice, along with will, are basic to the human being, if not to the world. Our freedom is our transformation, for which we are continuously responsible. While Nietzsche admired science, he saw scientism, the positivistic worship of science as objectivity and rationality, as a hindrance to science’s own progress. 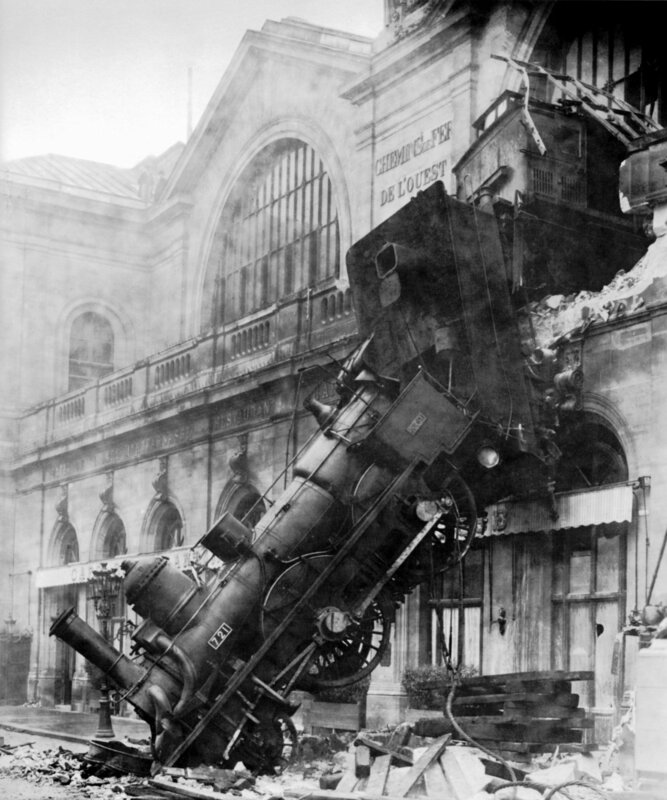 Like Hegel, Nietzsche thought that science without contradiction is dead, a graveyard of concepts. While Nietzsche argued that it is good to be acquainted with the sciences, the study of science should pave the way towards renouncing objectivity, absolute knowledge and universal facts. Nietzsche feared, in the late 1800s, that science and politics were replacing religion, becoming the new dominant dogmatism. Nietzsche wrote, “He who is willing to dismiss God clings all the more firmly to the belief in morality”, in an objective view. Nietzsche acknowledges the problematic ways that interpretations, moralities and understandings justify themselves as law and thus disguise the joy in causing pain, the celebration of truths that persist as lies, the vengeance of what is labeled impartial. Nietzsche believes, justly, that this is what has been understood for all of history but is rarely challenged. Cultures set themselves apart from others through ideology, including the internal divisions of class and ethnicity. 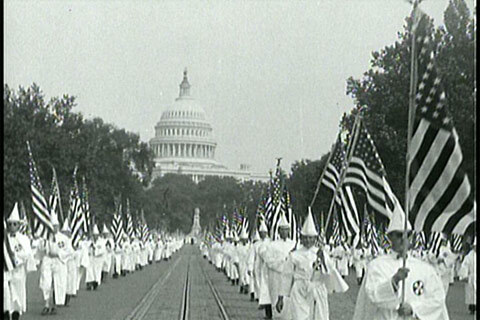 Claims of objectivity, authority and morality are always directed by one group of people against another. 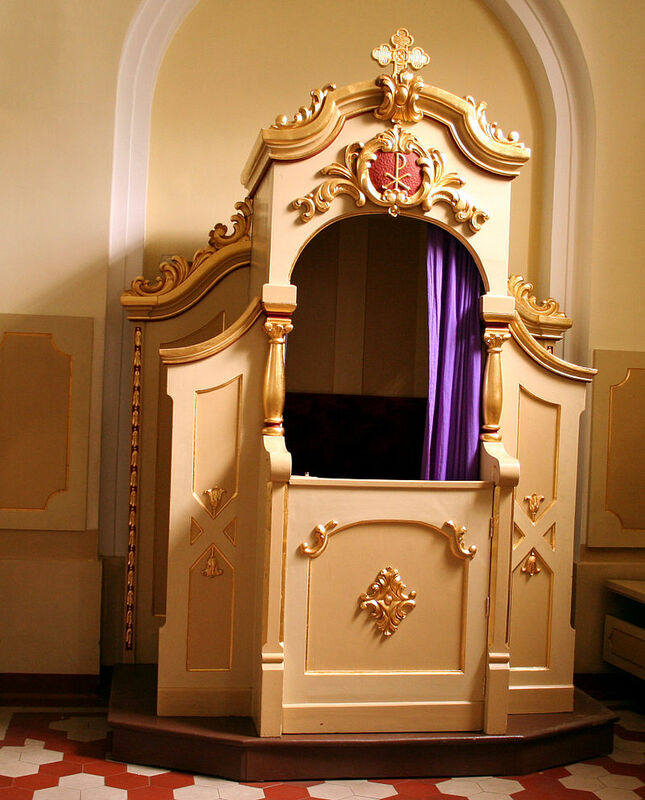 Morality is a great cause of immorality, and thus must eventually turn on itself, and judge itself, as the heresies and revolutions within Christian history attest. Nietzsche wrote, “Basically, there was only one Christian, and he died on the cross”. 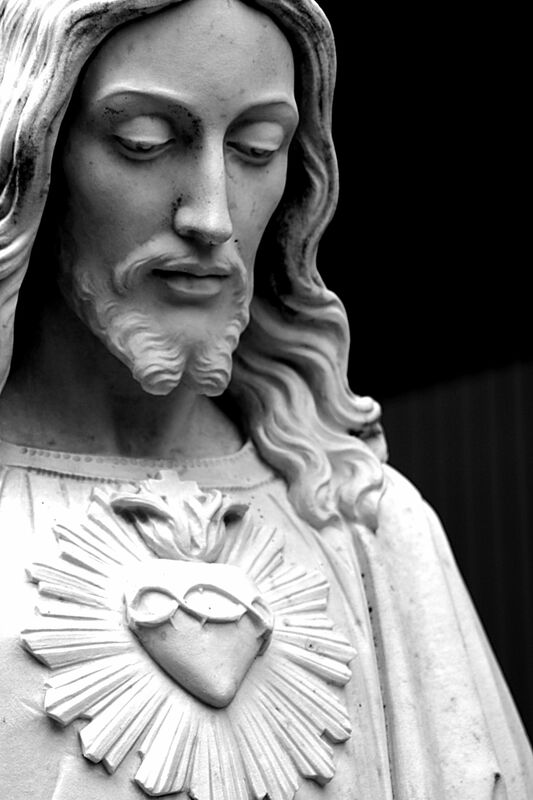 He considered it the “irony of world history” that Christianity abandons and inverts the example of Jesus. Similar to but beyond Kierkegaard, Nietzsche condemned Christianity for preaching absolute values when individuals must come to understand morality authentically for themselves, not universally throughout the group as a whole. Nietzsche holds the same contempt for claims to objectivity in politics and science. Imposition of objectivity is destructive for the possibilities of life and thought, a “castration” according to Nietzsche in a term that would appeal to Freud. Nietzsche argued that, like himself, Jesus was an immoralist, teaching people to free themselves from judgement and authority, writing, “Jesus took sides against those who judge: he wished to be the destroyer of morality”. 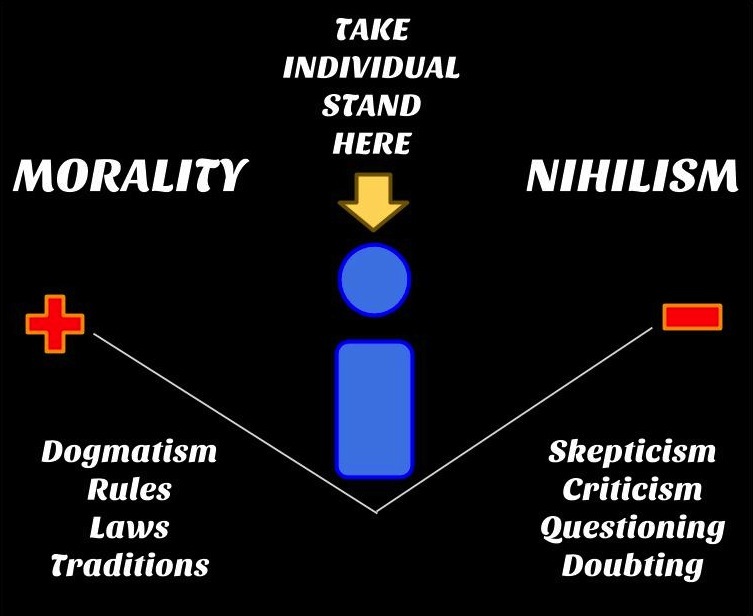 If one thinks that ethics is nothing more than morality, universal rules, this is a very unethical position, but if one thinks that ethics extends beyond morality, requiring individual interpretation in each situation, it demands continuous, individual responsibility. Nietzsche was well aware that when Jesus was asked which is the most important commandment, he said to love others, which is not one of the commandments. Jesus also taught that enemies should be loved, and outcasts embraced, overturning social convention. When Constantine, the Roman Emperor, called Christians together to figure out which books should be bound together as the Bible, some Christian groups argued that the Old Testament, the Jewish Torah, should not be included, as Jesus had overturned the old law and shown the god of the Old Testament to be false. 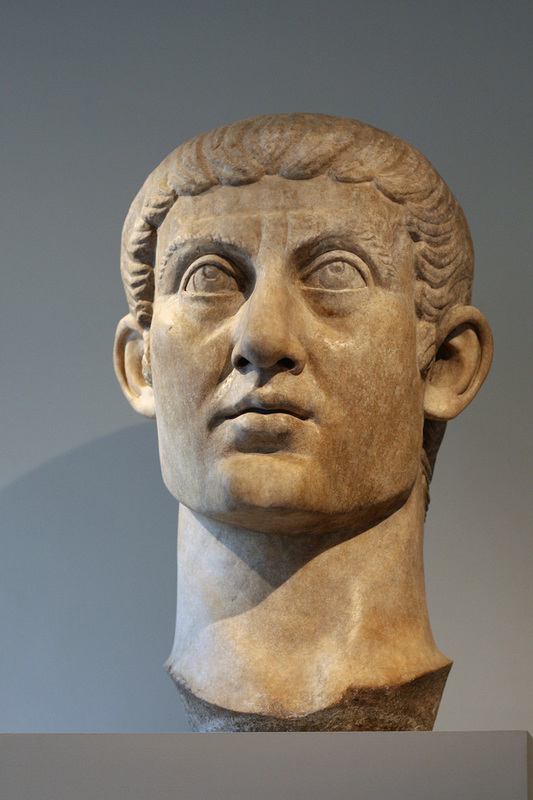 Constantine decided to keep the Old Testament, and persecute Christian sects that disagreed. 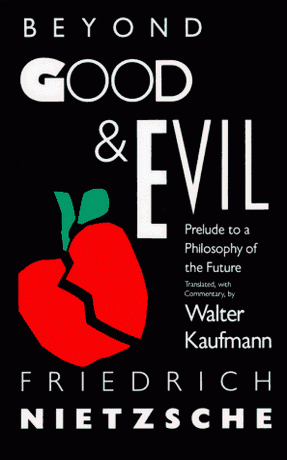 \Nietzsche wrote that he wanted humanity to become less universalized and more specialized. 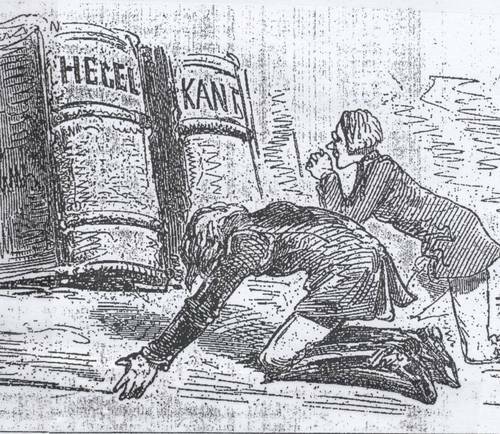 Rather than try to totalize the knowledge, as Hegel had attempted, Nietzsche wanted knowledge to wander, to spread out and conflict with itself. Like Heraclitus, Nietzsche argued that some are superior, rising above others, but foolishly choose to believe that they know the truth for everyone including themselves. Only the greater ‘superman’ (Ubermensch in German), comes to realize that they do not need to know the truth for everyone but only construct greater truth for themselves. This elevates and enables humanity as a model to follow far more than the one who considers their superiority to be universal supremacy and objectivity. The superior who pronounce themselves to be objective fear failure, as this would threaten to dethrone their supremacy, but the superman embraces failures and faults, and has earned the ability to learn from and own their imperfections. 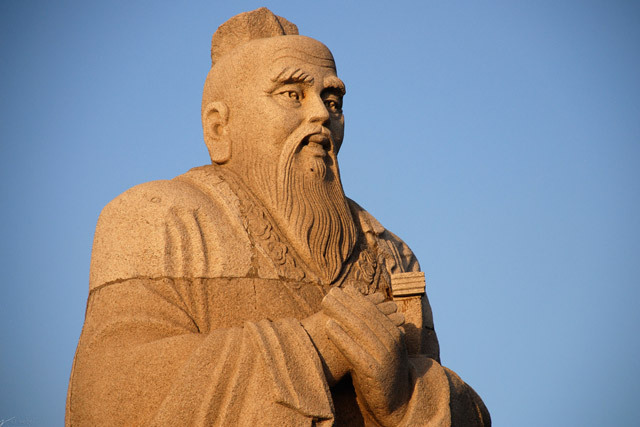 Confucius spoke similarly about the noble person, who is tough on themselves but easy on others. 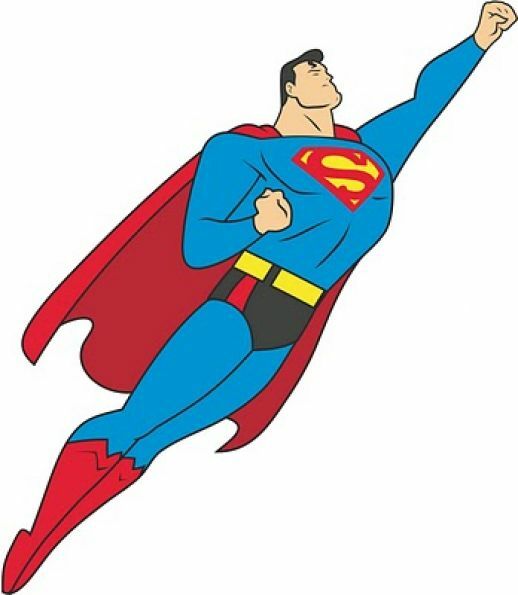 I teach you the superman. Man is something that is to be surpassed. What have you done to surpass him? All beings have so far created something beyond themselves, and you want to be the ebb of that great tide, and would rather go back to the beast than surpass man? 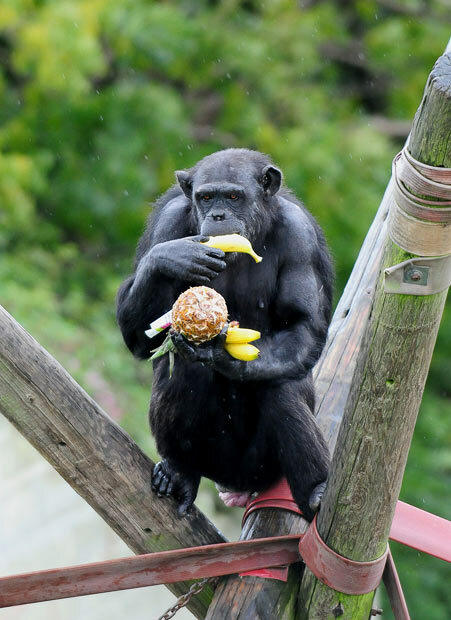 What is the ape to man? 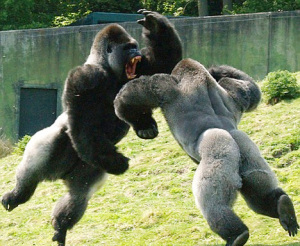 Once you were apes, and even yet man is more of an ape that any of the apes. Even the wisest among you is only a disharmony and hybrid of plant and phantom. It was a shame, especially given this last line, that Nietzsche was used by some Nazis, thanks to the efforts of Nietzsche’s sister, to support their ideas of the rising German will of the master race, taking Nietzsche’s individualism and twisting it into a racial and social doctrine. Nietzsche intended his words for individualists, as he says over and over again, and he attacked both nationalism and racism as poisons that intoxicate the weak-minded. 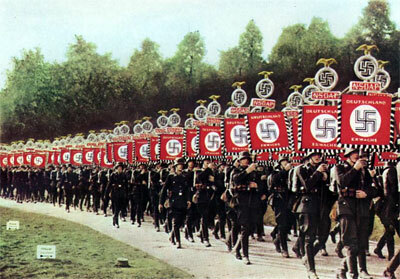 The Nazis called the aryan race ‘supermen’ and other races the inferior sub-human ‘untermensch’. Just as Nietzsche said that only an ocean could incorporate a poisoned stream into itself without becoming impure, Nietzsche said that the human race should be mixed together, including Jews, to create the greatest range of individuals and ethnicities possible. He knew very well that this completely contradicted the proto-Nazis of his own time. 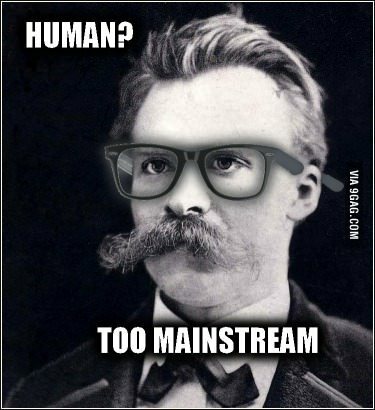 When Nietzsche uses the term ‘Ubermensch’, he means the one who overcomes both themselves and their own culture, not those who embrace group identity to give meaning to their lives. 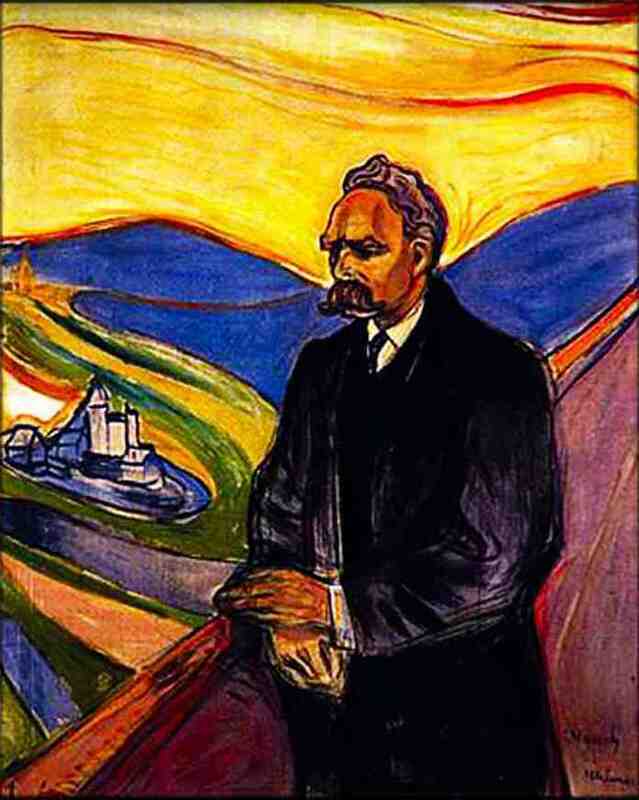 Nietzsche’s superior person is the visionary thinker or artist, not a nation or race. 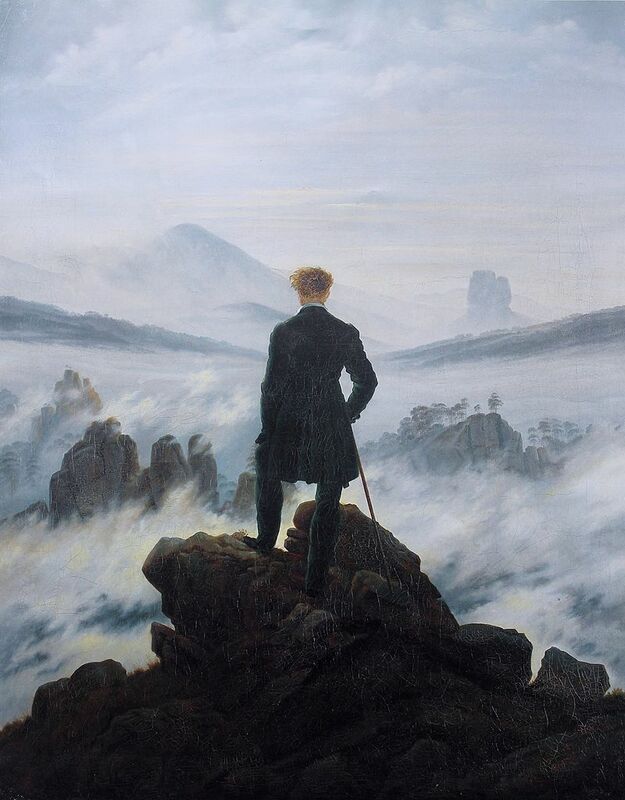 Nietzsche called himself an ‘anti-anti-Semite’, moved to Switzerland and renounced his German citizenship to walk alone high in the mountains. Surely this is how he would rather have been remembered. As Nietzsche went catatonic, one of the last things he wrote in a letter to a friend was that, as Emperor, he was having all the anti-Semites shot. In 1935, just after the Nazis had seized Germany and as some Nazis were using interpretations of Nietzsche to support their political movement, Karl Jaspers published his exhaustive book on Nietzsche’s philosophy to argue that Nietzsche was neither a nationalist nor a racist. That year he was dismissed from his professorship by the Nazi government. 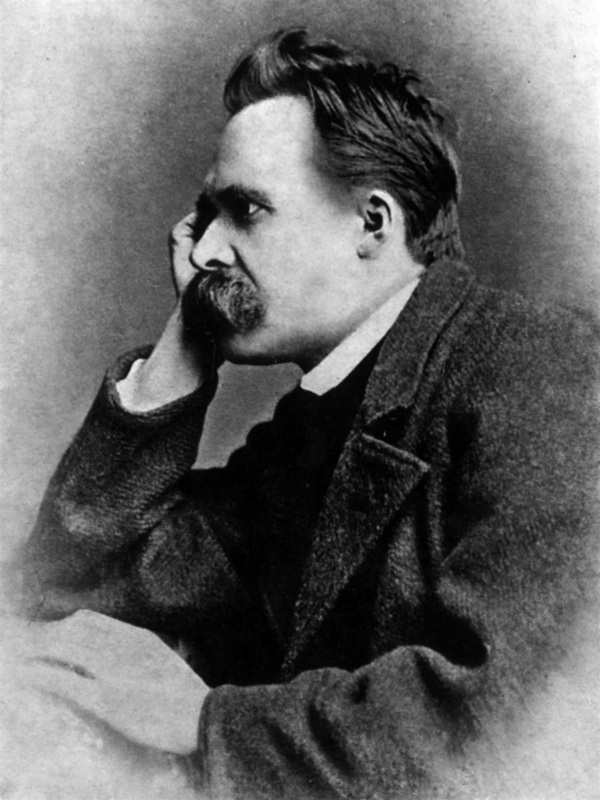 Jaspers wrote that Nietzsche was easy to read and intoxicating, but extensive reading can be frustrating as Nietzsche was not tied down to any judgement or system and contradicted himself almost completely. 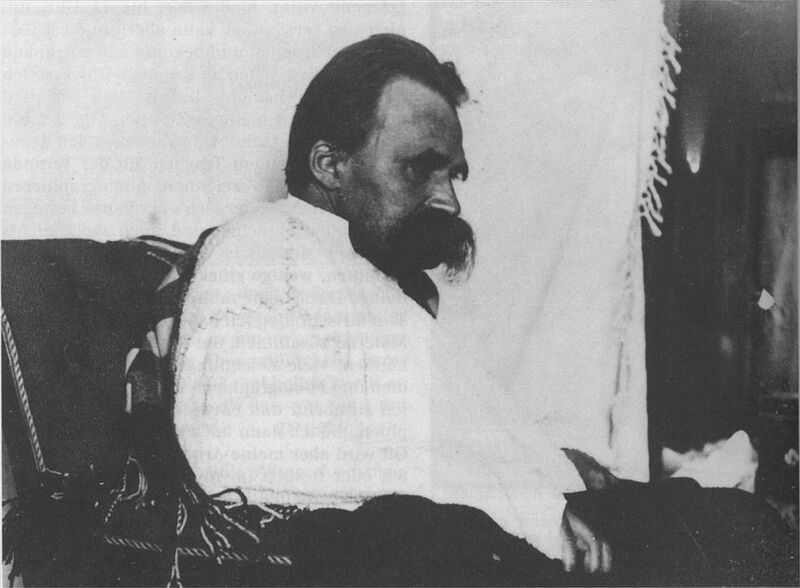 In this, Jaspers says that Nietzsche is like humanity itself, and that anyone who wants to learn to think with the freedom of Nietzsche must suffer through the contradictions and lack of system to earn this for themselves.